As parents and educators, we all know how important it is to be kind to others. 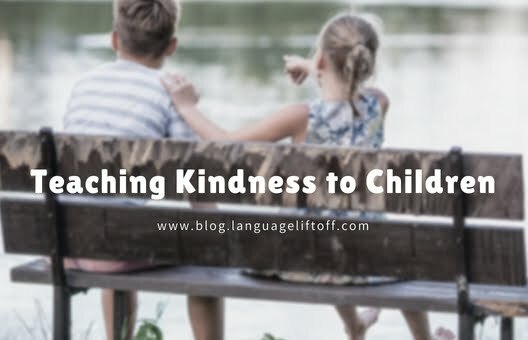 How do we go about teaching our kids to be kind? How do we instill this skill in our children so that they can create or add to a culture of kindness wherever they go? Harvard psychologist, Richard Weissbourd, runs the Making Caring Common project with the graduate school of education. This project aims to help teach kids to be kind. How? Learning to be caring is like learning to play a sport or an instrument. Daily repetition —whether it’s a helping a friend with homework, pitching in around the house, or having a classroom job—make caring second nature and develop and hone youth’s caregiving capacities. Learning gratitude similarly involves regularly practicing it. Being kind to others feels good. It creates a feeling of community, of interconnectedness. Together, we can make the world a better place with acts of kindness both big and small! Click here for a round-up of 24 Great Picture Books to Teach Students Kindness. Let's end on a positive note with this video on kindness quotes, to inspire and motivate you and/or your little one!